An officer who shot dead a man carrying a table leg when he mistook it for a gun has successfully overturned an inquest verdict of unlawful killing. 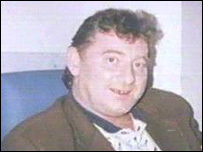 Ch Insp Neil Sharman shot Harry Stanley, originally from Scotland, in the head in Hackney, east London, in 1999 and Pc Kevin Fagan wounded him. A High Court judge said there was "insufficient evidence" for the verdict but a third inquest should not be held. The first open verdict now stands. The family were refused right to appeal. Outside the court, Mr Stanley's widow Irene said she would fight to have the unlawful killing verdict reinstated. Her lawyer said she was renewing calls for the Crown Prosecution Service (CPS) to say whether criminal charges would be brought against the two officers. Glen Smyth, chairman of the Metropolitan Police Federation, described the ruling as "common sense". Mr Stanley was shot by the marksmen after they were wrongly tipped off he was carrying a sawn-off shot gun in a plastic bag. Both officers opened fire as he walked home from the Alexandra pub in Hackney. On Thursday Mr Justice Leveson told the court: "Whether or not a misunderstanding on the part of the officers may be justifiable, they did in fact misunderstand Mr Stanley's reaction and, as a result, he lost his life. "This is not a situation which can be allowed to be repeated." He said the way Mr Stanley was challenged from behind, by officers who had not taken cover, meant the marksmen were at risk of misinterpreting his reactions. The judge also said the "difficult" nature of the case meant that the St Pancras Coroner who heard the second inquest, Dr Andrew Reid, would have benefited from "judicial oversight at a higher level". The first hearing into the painter and decorator's death returned an open verdict in 2002. But the verdict was quashed by the High Court in 2003 and the second inquest ordered after a campaign by Mr Stanley's family. Mr Justice Leveson said that although a review of the way death investigations are operated had taken place, he would be adding his weight to the call for changes to the inquest system.